The IRS is seeing far fewer error-riddled tax returns, as a growing number of taxpayers file electronically. Last year, the IRS identified 2.7 million math mistakes made by 2 million taxpayers on their 2011 returns, according to new data from the agency. That's less than half of the 6.6 million errors found in 2011 on 5 million 2010 tax returns. The most common error, which accounted for 24% of all mistakes last year, was calculating the amount of tax owed. About 15% of mistakes were made in reporting exemptions, and another 13% were made claiming the Earned Income Tax Credit. In 2011, roughly half of the mistakes were related to the Making Work Pay Credit, which could be claimed on 2010 tax returns and provided up to $400 per worker. Many taxpayers failed to claim the credit because they didn't realize they qualified, so the IRS had to alter those returns and factor that amount into its calculations. "As there are new laws or changes [to credits], the chance of math errors increases," said Brent Lipschultz, partner at accounting firm EisnerAmper. But even without the 3.3 million errors related to the Making Work Pay Credit, last year's 2.7 million errors was still a considerable improvement from the year before. The IRS can thank the growing use and availability of tax software programs, like H&R Block and TurboTax, for the decline in errors, said Thomas Cooke, a professor of accounting and business law at Georgetown University. "One of the most common mistakes made by taxpayers is math -- calculating the numbers," said Cooke. "It is a lot harder to make a math mistake when a computer program is doing the work for you." It's free to file a basic federal return with many tax filing programs, and you simply plug in numbers straight from your W-2, answer a handful of questions and your tax liability or refund is automatically calculated. Your return is then electronically filed straight to the IRS, which has its own screening system that scans returns for mistakes before accepting them. If something doesn't add up, it will kick the return back. Roughly 81% of individual tax returns were filed electronically last year, up from 77% in 2011 and 66% in 2009, according to the IRS. 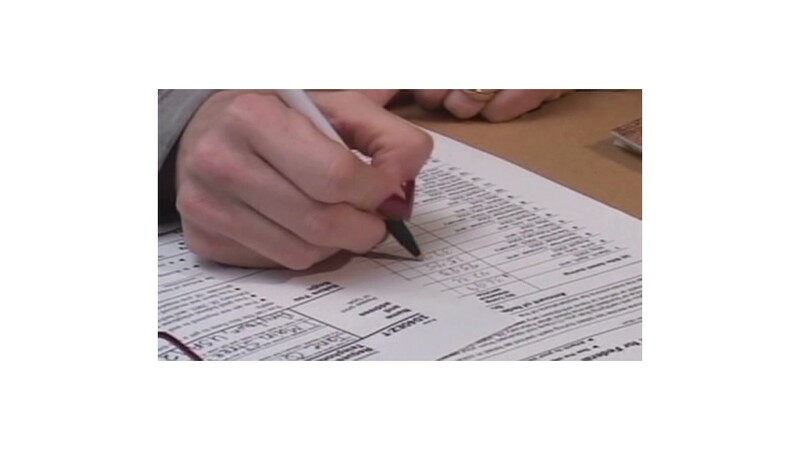 And it's not just taxpayers who e-file -- these percentages include tax returns filed electronically by tax preparers as well, said Dominique Molina, president of the American Institute of Certified Tax Coaches. And while electronic filing may reduce math errors, there can be a downside to relying solely on software, she said. "No matter how sophisticated the tax preparation program, it's never a substitute for judgment and it's not always going to tell you what you're missing or whether there are other opportunities you could take advantage of," said Molina. "But for those folks who have very simple returns, the software makes it so much easier." How do you plan on spending your tax refund? Share your plans with melanie.hicken@turner.com.